Nearly three million Americans have braces, one in five are adults according to Harvard Medical School. Orthodontics has evolved through the years transitioning from metal brackets to clear aligner therapy. 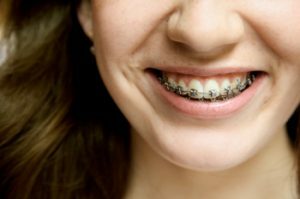 Today, lingual braces are becoming more popular for those who are concerned about the appearance of brackets. Everyone has seen traditional metal brackets on teeth, which are especially popular amount children and teens. Stainless steel or ceramic brackets are bonded to the facial (front) surface of the teeth. Wires are then ligated to the brackets using elastic ties to firmly activate and engage the wire. Just like ceramic brackets and clear aligner therapy, patients not only must be candidates for orthodontics, but must meet additional requirements for lingual brackets. Not all orthodontist can place lingual brackets. To do so, they must complete additional continuing education courses as well as purchase specialized equipment. If you are interested in seeing if you are a candidate, it is best to search for a provider in the area and schedule a consultation. 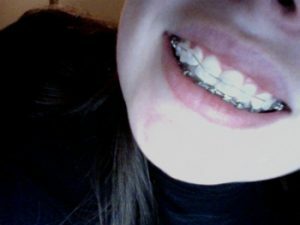 Lingual braces are usually not recommended for children and young adults. In order to glue the brackets on the inside of the teeth, the teeth have to be a sufficient length. It is also contraindicated for individuals with excessive bite corrections and those with a tongue thrust. 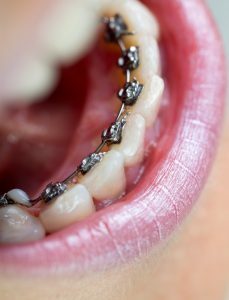 Having brackets on the inside of your teeth close to the tongue will take time and a conscious effort to adjust to. Oral hygiene with lingual braces can be extremely challenging and the patient must be overly diligent in their oral hygiene routine. More frequent visits to see the dental hygienist is highly recommended. The primary advantage of lingual braces is they are virtually undetectable unless someone catches a glimpse of your lower teeth. Most traditional brackets as well as clear aligner therapy requires you to have brackets or attachments bonded onto the front of the teeth. Lingual brackets are treatment planned with a sophisticated digital software for more precise movements and less treatment time than brackets placed on the front of teeth. While the advantages are amazing one must remember it is more difficult to place and remove these brackets. Therefore, your routine visits will require longer appointment times as well as a longer adjustment period after placement.